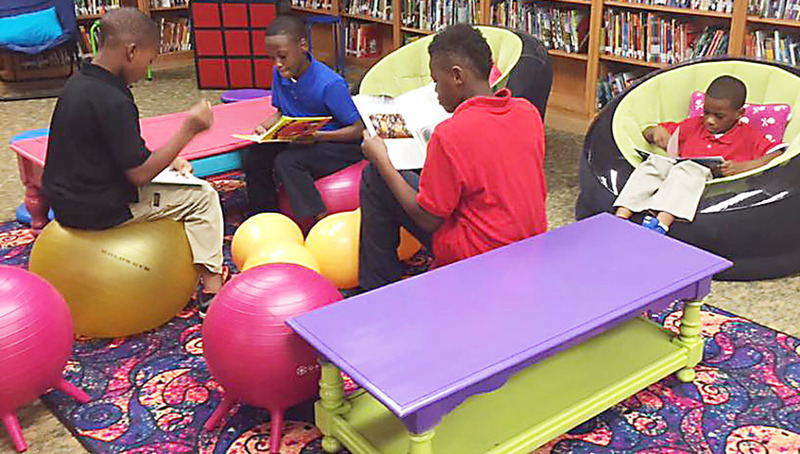 Blytheville Elementary School students relax while reading in the library and sitting in the school’s “Flexible Seating” furniture. Felicia Dogan said that students who enjoy reading are more successful in school and will remain in school longer. And when students are more comfortable, they will become more engaged in what they’re doing.